This time last year, Hero fell in love with a dancing robot called Beatbo. 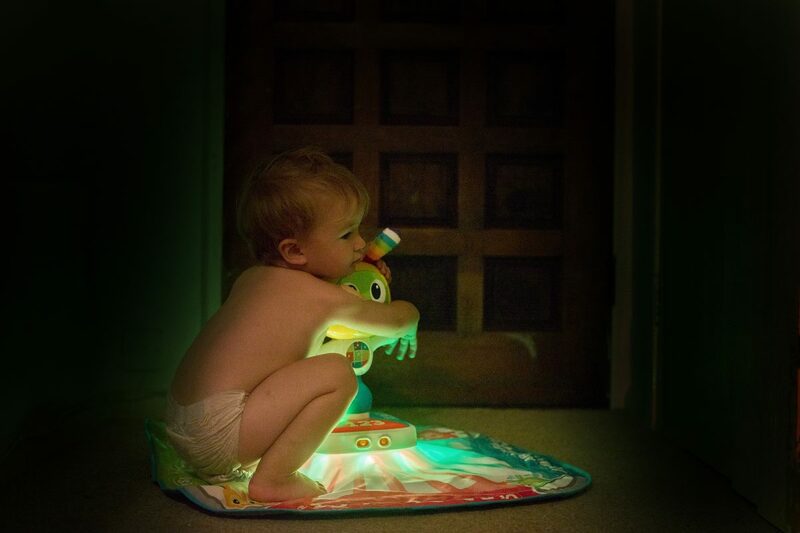 Now he’s back with his Bright Beats Learnin’ Lights Dance Mat. And Hero is more in love, because if there’s anything he loves to do, it’s dance. Like his big brothers, as soon as they hear a rhythm, they have to dance. We got Beatbo and his mat out and set him up within seconds. 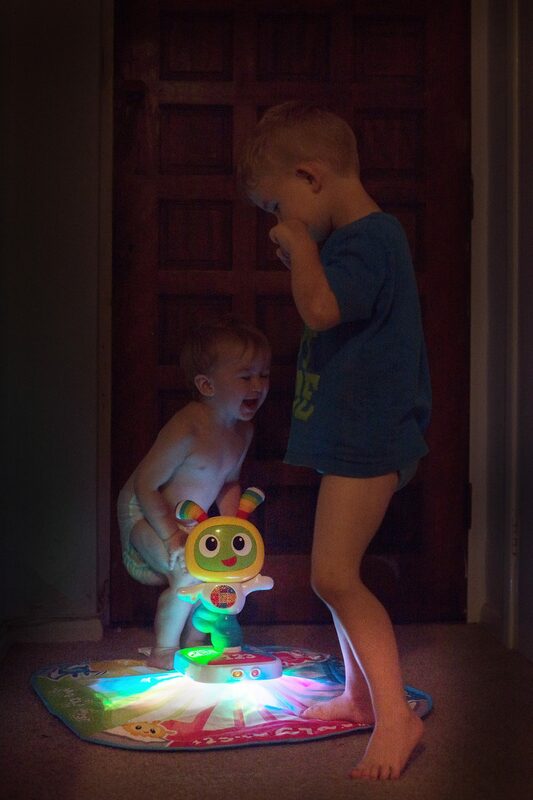 Suitable from 9 months upwards, all of the boys decided that they were allowed to play, and waited patiently for Beatbo to be slotted onto the base. 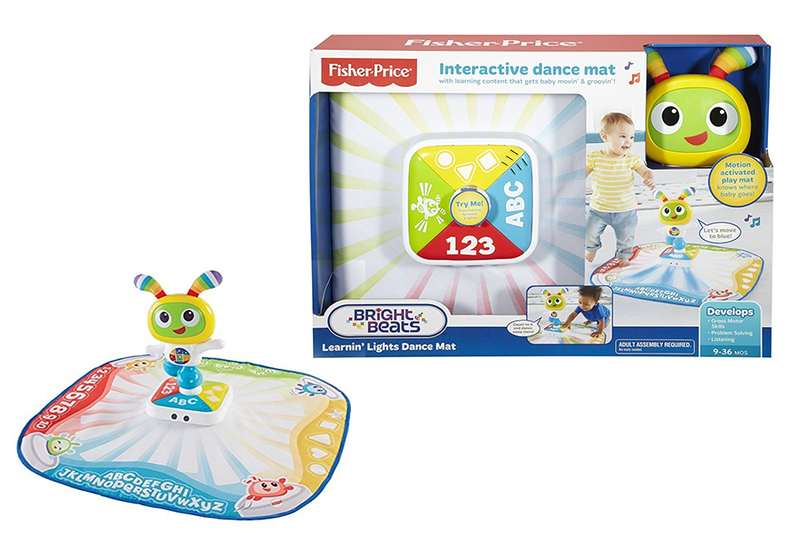 There are two advised ways to play with the Bright Beats Learnin’ Lights Dance Mat. 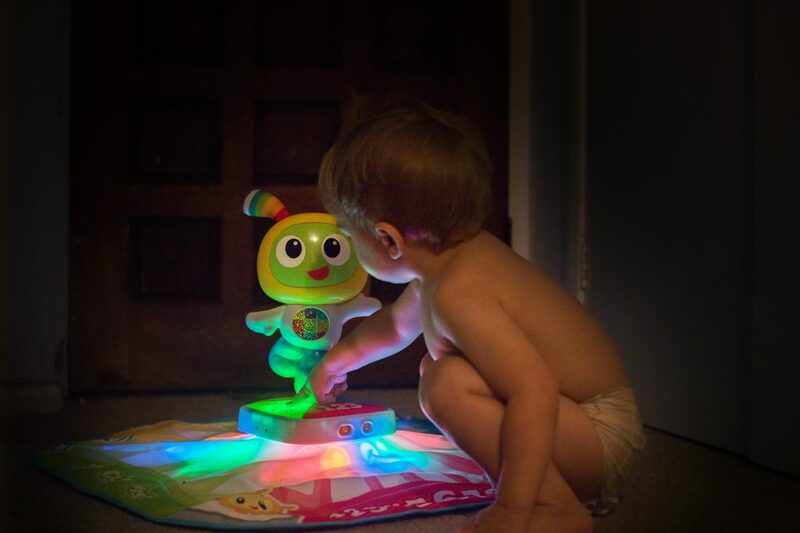 First is the Move and Play mode – this is most suitable for the little ones as they simply swat at and tap Beatbo [or press any of the four buttons on the base] to set off the light show on the mat, like a disco! We liked this very much, especially just before bed *cry*. The quality. Fisher Price toys are made to last with little people. The toy is built with a learning philosophy behind it. That this is easy to pack away. Fold up the mat and it’s one of the smallest toddler toys that we have. It was available with the little BeatBowWow dog on it too. We’ve seen him on YouTube and we love him quite a lot. 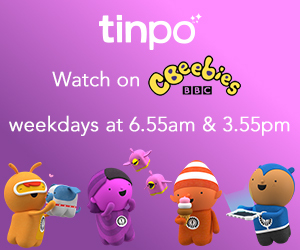 Kimberly and her 18 month old daughter Willow will be championing the #BeatBoBoogie showing off their moves and encouraging parents and their little ones to get involved in active playtime to help children develop important social and physical skills while having fun. Parents can share their photos, videos and comments on the Fisher-Price Facebook page www.Facebook.com/Fisher-Price to be in with a chance of winning fantastic Fisher-Price prizes for the best #BeatBoBoogies!